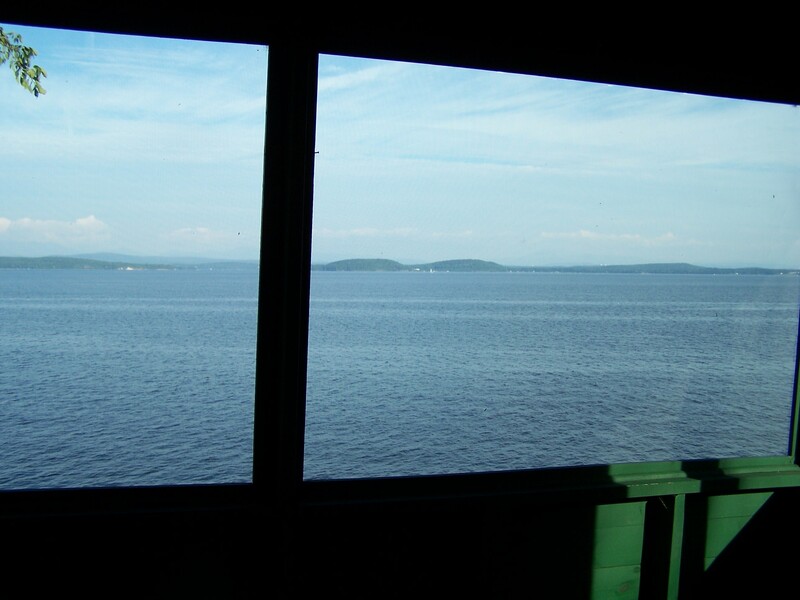 All eight of our rustic Cliffside Cabins provide unspoiled views of Lake Champlain from a screened sitting porch. 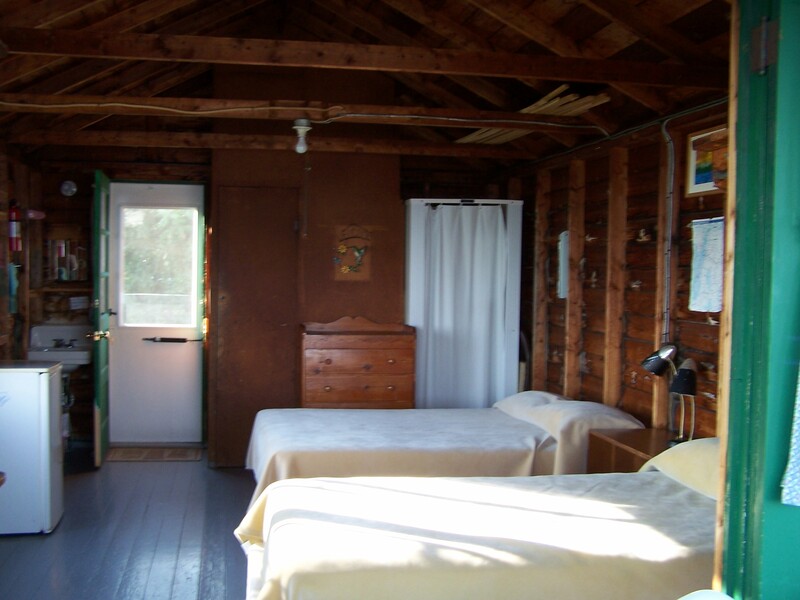 Depending on the unit, these cabins sleep from 2-4 guests; all have a double bed and some have additional twin or bunk beds. These charming cabins each include a private toilet, shower, and sink. Bed linens, pillows, washcloths and face towels are provided. However, you should bring your favorite bath and beach towels. Small dressers, hanging and shelf space are available for your personal belongings. A small refrigerator and dual burner hotplate, dishpan & drying rack are supplied to facilitate simple meals; please bring your own cooking supplies, utensils, pots and dishes. 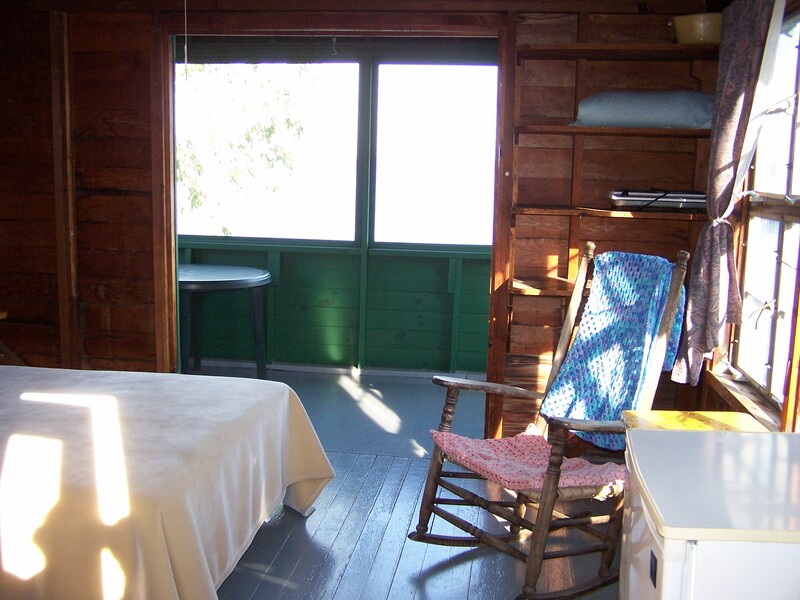 In breezy weather, the cabins have excellent cross-ventilation. If you are expecting to stay during hot weather, you may want to bring a box or table top fan. 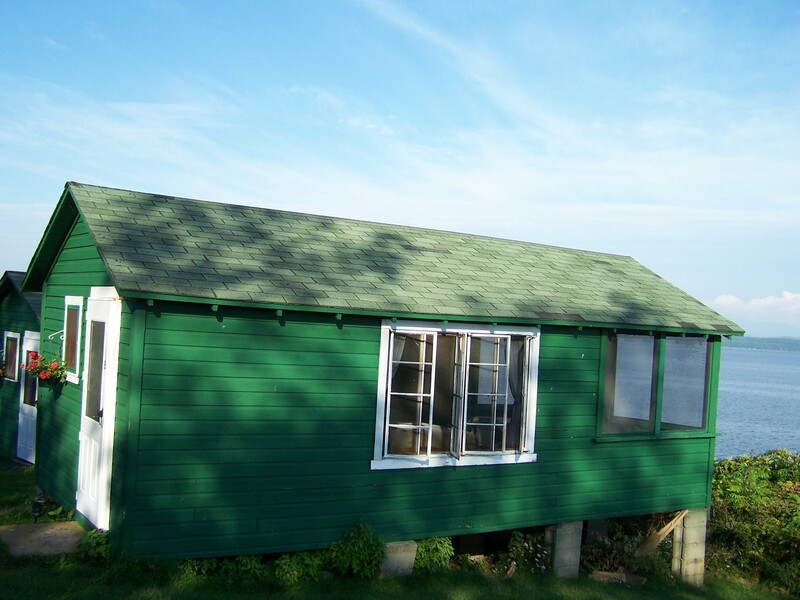 The weekly rental fee for a Cliffside Cabin is $525, (plus 9% state tax) they rent from 2 pm check-in on Saturday afternoon to checkout at 10am Saturday. Nightly rentals may be possible, if availability allows ($100 / nightly plus tax). In the photo above, you are looking at Cliffside Row from Cliffside 8 on the right, to Cliffside 1 at the bottom of the hill. Cliffside 1, 2 & 3 looking east over Lake Champlain. Cliffside 8 from the side. Looking West at the Adirondack Mountains of New York from the shared fire pit area of Cliffside. Interior of Cliffside 8 as seen from the screened porch. Between the entry door and the shower is a private toilet. Interior of Cliffside 2 from entry door. 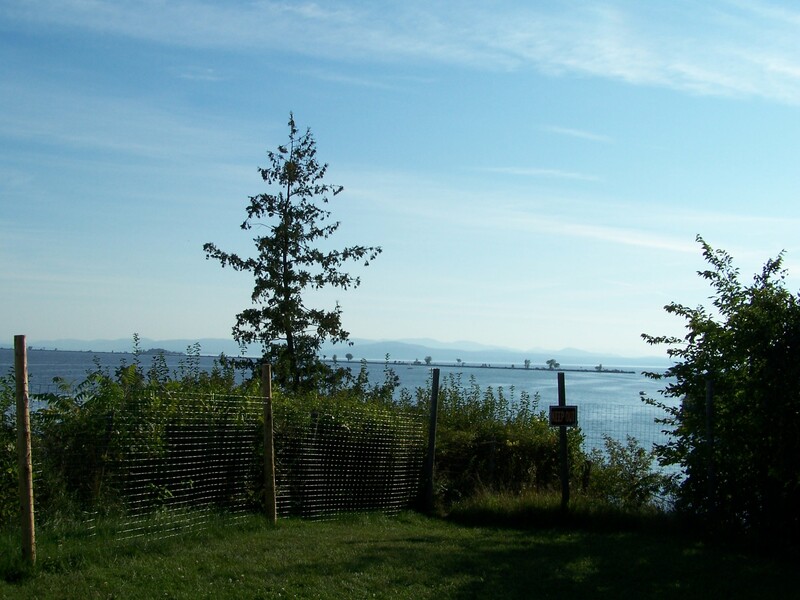 View of Mallet’s Bay from screened porch of each Cliffside cabin.